DevOps has always been about speed. As a DevOps user, you’ve likely experienced faster application development, faster updates, continuous development, and faster shipments. But with DevOps becoming so prevalent across development teams, a number of best practices have recently emerged that you’ll need to stay ahead of in order to keep projects moving through your DevOps process as quickly as possible. 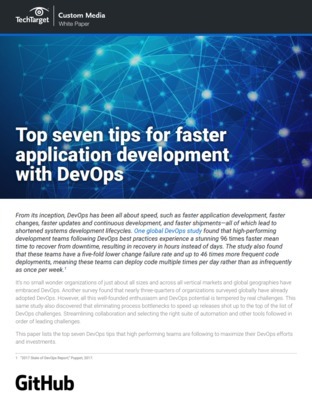 Check out these top seven tips for faster app development with DevOps to see what I mean.